For something in which so many invest so much commitment and emotion, football is remarkably fickle. We fans put everything we have into supporting our team, yet they let us down more often than not. We arrive in hope, leave in disappointment. Modern football is even harder to love. The cost, the travel, the time, the distance between club and fans. Yet sometimes you remember why you do this thing you do. The game is uplifting and joyous like nothing else. Yesterday that was Tottenham Hotspur. Spurs were diamond fabulous. Manchester City can tear apart any side in Europe. Pochettino’s Hotspur play without fear. Get at them, take them on. Play your own game, let them worry about you. Pochettino embraces the club’s heritage, he plays the Spurs Way, with a flourish, not wait for the other side to die of boredom. Tottenham mesmerised and enthralled with their combination of movement, intensity and inspiration. Time and again they won the ball then passed their way through the league leaders’ defence. From my seat mid-Shelf, the speed and creativity took my breath away. Not just for a burst or two but for almost all of the 90 minutes, such was their focus. When the Spurs get it right, there’s nothing to compare. We all felt it, that thing. More than the value of 3 points, more than going second in the league. That special precious feeling when the players are as dedicated as the supporters, when they give their best, that realisation that they are capable of beating the best. This was fulfilment. People around me, punching the air. On twitter, long-term fans, Lesley and David, moved to tears not so much with winning but the manner in which we won. As good a performance as I can recall in twenty or thirty years, right up there with the best. I felt so proud of them. In the bad old days, all of three years ago, the announcement of unexpected team changes came with a whiff of rotten eggs. Now they signal that Pochettino is up to something. Spurs lined up 4-3-3 to match City. Instead they excelled then overwhelmed them. From the kick-off the ferocity of the pressing startled City into firstly giving away the ball then a goal. Son had already tested the keeper when a fine cross by the excellent Danny Rose came to Kolorov at the far post. Nobody told him he was on his own. That’s a poor touch, hang on that’s surely not going in, it is you know. An own goal in the first ten minutes is handy but Spurs were magnificent, rampant, unstoppable. The movement bewitched bothered and bewildered the City back four. Otamendi lost it for a time, a handball under no pressure except the terror that zinged through his overheating brain then scything down Tottenham forwards. Booked and lucky not to get sent off. Son irrepressible, Eriksen and Alli seeking space and making time where there was none, Lamela always in the game. Several near misses then the second. An attack involving half the Spurs team broke down on the right but was resurrected by Son’s quick reactions. A five yard diagonal to Alli bursting through was all it took, Alli first time swept it into the net. And they kept going. The tempo never dropped from off-the-scale in-the-red danger level ‘aye captain I canna hold her together’ levels, except Spurs had Wanyama to do just that. The 4-3-3 was in reality a fluid formation adjusting to whatever was going on. Wayama has the instincts of a defensive defensive midfielder. Second half, we were stretched, Wanyama pops up at left back to nonchalantly shepherd the ball to safety. Why was he there? He just knew. After half-time we picked up where we left off, giving City no time to breathe. Their revival no doubt carefully planned in the dressing room was stillborn. Spurs’ football flowed as if it were the most natural thing in the world, and it was beautiful to see. Alli was fouled for a penalty but the move that set him up was stunning. Lamela and Son argued over who was going to take it. Unseemly – this should be done and dusted pre-match. Lamela has made great strides and played well up until this point but he does not have ice in his veins. The wrong choice and his weak shot was well saved. The game would have been killed off then but we had to endure twenty minutes of tension and a Lloris save via the post before the celebrations could begin. When the going gets tough, Toby Alderweireld gets going. My man of the match, he is a giant. Vertonghen was solid alongside him, a formidable central pairing. Spurs even defend assertively. No sitting back, Tottenham have brought back the art of the tackle. The back four and Wanyama are not afraid to go in and get the ball. Three times Toby, three times Jan stopped attacks in their tracks to come away with possession. Walker and Rose, on top form, the former a man transformed by his summer at the Euros. Decisive, swift, diligent – like all of them he takes responsibility and no longer leaves it to others. At the final whistle we stood to applaud until they left the field, then looked at each other to say, this is a team. Our team. Our Tottenham. It was one of those rare games that when it finished, life was a little sweeter than when it began. Last season we faded through lack of mental strength. That lesson has been learned. We’ve kicked up a couple of notches now. Bring them all on. We’re a match for anyone right now. And this is the way we play now. Same in Moscow on Tuesday, take the game to our opponents. It’s a shame it took the Monaco match before they realised what they could do but there’s more than enough time to make up for that aberration. 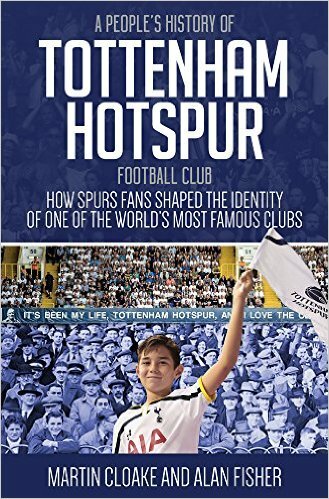 As a footnote, A People’s History of Tottenham Hotspur Football Club is getting rave reviews from Spurs fans and football writers alike. We’ve struck a chord. You can hear Martin and I talking about it on the Spurs Show podcast (episode 51 years), thanks to host Mike Leigh for his generous comments. And if you are in any doubt as to the significance of supporters in the heritage of the club, this is what Steve Perryman said at half-time yesterday. Steve was a fine player and holds the record appearances at Spurs but more than anything, he gave it all every time he pulled on the white shirt. Of all the games, all the memories, the one he chose first was the 84 UEFA Final, when Danny Thomas missed a penalty in the shoot-out then was given an ovation to lift him as he trudged back to the centre circle. Not a goal or a cup, not even a match that he played in, but the supporters, a moment when he realised how special club and fan are together. thank you Alan, as always a great post. I was watching the game on TV here in Cape Town with my cousin and his son, we were over the moon, one thing among many wonderful things yesterday was the crowd, you guys were magnificent too. That thunderous bond between the fans and the team and how one feeds and support the other, is a thing of real beauty. So proud of our team and fans. COYS!! What a great read. Thank you. I was fortunate enough to be at the match yesterday and your article has summed up that special day just perfectly. Great stuff, Alan. Actually what touched me most in that piece personally is Steve P’s recollection of the 1984 final – because I was sure that at that appalled moment of silence when Danny Thomas had missed his pen it was MY loud clap that started the whole stadium singing for him! Honest, guv! Alan: as ever, your take has just the correct tone and pitch to record a memorable afternoon’s action. Thank you. Thanks Alan, a great read after a great performance. We are a near perfect side playing great football, with an excellent defence and sensational midfield. Remember, our best player from last year, Dembele, is still to come back. The only downer is that our two strikers are yet to get amongst the goals, but are being covered by the South Korean. PS Nice to hear you author guys on the Podcast! Oi, who said we’d be thankful for a point vs Citeh? 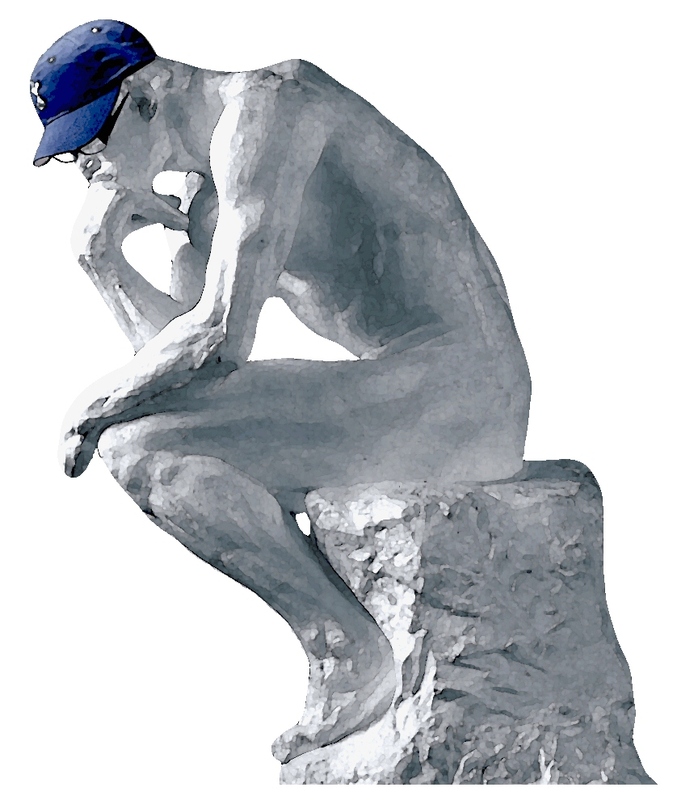 Martin didn’t rule us out getting a win, and we did. Alan said we are playing some really decent football, and had a good feeling about game. Great piece on a great performance. Good to hear you and Martin on the Spurs Show last week. Hi there Al. A write-up as enjoyable as the game. Thank you. What an afternoon that was. Exhilarating from start to finish. There isn’t much to add to what you’ve written. But consider this – we did it without DIer, Dembele and Kane. Three of our key players who have done much to establish the Poch era Spurs. And after yesterday’s performance, they must all three be wondering how/if they get back into the side. That’s how good we were. Wonderful, just wonderful. We were by far the better team. And the atmosphere inside the ground was terrific. Hearing Dele’s song as he left the pitch was something I’ll never forget. Along with the extended ovation at the end. Steve Perryman was the captain of Spurs during my formative years as a fan. As far as I’m concerned, he’ll always be the skipper. No one else comes close. My only worry is how long we can keep Poch for. I love the guy and pretty much everything he does, but he is a bit to keen to talk about other jobs he’d be happy to take one day, like PSG and the England job. But my worry is reflection of just how very very good he is. When I watched Chile this summer in the Copa,it confirmed the style of football the crazy obsessive,Bielsa,has created was World beating. Chile won the Copa beating the Argies and making about as big a statement for the future of footie and the next big system. It followed the successes of Atletico Madrid and the way they competed with the two big clubs,who had brought this style to Europe. When Poch was at Southampton,I watched amazed how they were never afraid when they pkayed away even to the top teams. I coukdnt understand why little Southampton pkayed with no fear. The Bielsa system calls for total concentration and commitment to the system. It asks forwards to defend from the front and defenders to attack from the back apart from the opposite. There is no time for fear if you are playing correctly. It took time for Poch to bring the system to life. In his first season we passed short but also slow and defences were getting back and it was difficult to get through but it was these short passes that were a stepping stone to what was going to come. Last season Poch picked up the pace…there were casualties. Benteleb was one of them. There was no time to get it right and his passes went awry (Sissoko may have that problem now but he has time to develop better control as pace as he is an atracking player and thats not as risky) Now we gave pucked up the pace further and Son and we can see even N’Koudoo as beneficiaries of this etectric attack. So when we met City,a powerhouse in their own right wecwondered if we could get ahead of the curve.Well Poch didnt wait. From the off he got his growling youngsters snapping at the heels of City. We gave them no air. Even their cavalier goalie was smothered by one or two of our players. It was absolutely beautiful how we iwned the air. Then as the game went on and the energy levels went down,when City started to offer some resistance Poch brough on Dier to secure the defence and N’Koudoo to uplift the attack with new energy creating a staus quo 2nd. Simply glorious from our boys. For me I loves the Double sides football an extension of Push and Run…but love this exviting game Pich has brought even ,I coukdnt comprehend it 2 years ago. COYS!!! I also realize that my Ronglish writing is difficult to comprehend!!! That’s Engllsh, Ron? Maybe too much time in French Canada, hearing Franglais! Poch and Run, Ron? How are you, matey! Weather holding up…..going home for a trip in early December…going to see the Swansea game…looking forward to it…hows Calif? With all of the click-baited tripe on News Now these days, this, is a welcomed respite from the pointless and often fruitless articles that are written by ‘ bloggers ‘ on Spurs ( matters/stuff). Saw an article the other day, much to my saddening dismay entitled, ” Spurs star reveals who he sits next to on the team bus .” Think I’ll leave that garbage in the can, as my point is probably quite obvious here..
Good article, reflecting what was a good afternoon for Spurs. Nice analysis, in all aspects. No need to dive in to the critique, as this is now an annoying pass-time by all connected with the sport. In particular, our great club. Here’s to more of the same, going forward. Both in terms of Spurs’ success and performance levels as well as your welcomed observation, through print. Wonderful stuff, the match is a keeper and so is this piece of yours. Thanks again for setting the tone for what can all hope is a red letter season for the beloved Spurs, as the old girl at N17 gets ready to exit, how fitting it would be. Early days I know , but to dare to dream? More importantly the quality on the field is spectacular, this win would have been inconcievable last season , no Moussa, Harry, Dier no problem. Those three were undroppable last year. The front three played beautifully and honestly with few sharper passes at their back four it could have been a rout. I’ll take it anyway we can get it. Toby is one of the finest central defenders in any league, he rarely puts a foot wrong, and I believe this was Jan best game in well over a year. He did not put a foot wrong. It is amazing just how much pressure we can apply with both of our first choice fullbacks playing, speed , power and stamina. On a personal note, wonderful to hear Martin and yourself on the pod! The book is brilliant, and keep up the great work, this blog gives so many of us joy, irrespective of the results on the pitch. Don’t know about you Alan, but I cannot remember the last time that so many people stayed behind to applaud the team from the pitch, and also, how long the team stayed on the pitch to applaud the fans. JGisGod, great to hear about all the fans staying along with the team. We had one of our LA Spurs (ex-pats) over for the game, Rudgey, so waiting for his report when we return our local to watch the WBA game. Have you ever personally seen that much interaction between players and fans? I actually think Poch sets the tone, treat all the staff with respect, and he’s always giving thanks to the fans in his interviews. A classy, savvy guy…Mr. Levy has found his right wingman! COYS! Apart from a couple of notable exceptions, ie like when we’ve given the gooners or ch**ski a bit of a stuffing, in the 50 or so years of going to The Lane I can’t remember a time when players,management, and fans all seemed to be trying to pull in the same direction. The one thing I’ve always found with Tottenham is just when we seem to be getting somewhere, inevitably, something goes wrong. But these day’s, there is definitely a different buzz about the old place, and maybe, just maybe there is a feeling that we may be able to actually achieve something with this squad, and this feeling is now something that seems to be being felt by supporters of other teams as well. I was still on a high from the result and reading this got the hairs on the back of my neck standing on end, bringing back the unbridled joy of Sunday. So this is what having absolute faith in your team feels like, long may it continue and I want to see us win the league. There is no reason why we shouldn’t. Now, after that outburst of optimism, I must admit to being one of those fickle types. Only time prevented me responding to last week’s column and I was going to disagree with one comment you made and that I felt there was one player who I felt hadn’t improved under Poch, that being Jan Vertonghan. While he is a class act in possession, I was going to say his actual defending is not of the standard it should be and that I thought our defence were better at actually defending last season when Wimmer played. Cue two of the best performances Vertonghan has had in his Spurs career, on Sunday in particular I thought him magnificent. If you saw my fantasy league team you would see that my selections nearly always coincide with injury or poor form (Kane, Dr Bruyne, Martial among others), and my timing in criticising Jan would have been another ill timed case of foot in mouth! Also, given we’ve only conceded from one penalty and two dead balls in the league, my supporting evidence would have been suspect at best. Goodness, this winning malarkey is great! And by the way, I did agree that everyone else in the squad has improved, with Rose & Walker possibly the most notable radio of all, in my opinion. I’m still buzzing Alan and can’t wait to play the other teams to see how we fair against them as well, especially the Goons and the Cheats. I was worried when I saw the line up, but 10 minutes into the game I knew this was ours to win. The debutant’s performed like for like . I’m now not worried when we have injuries.